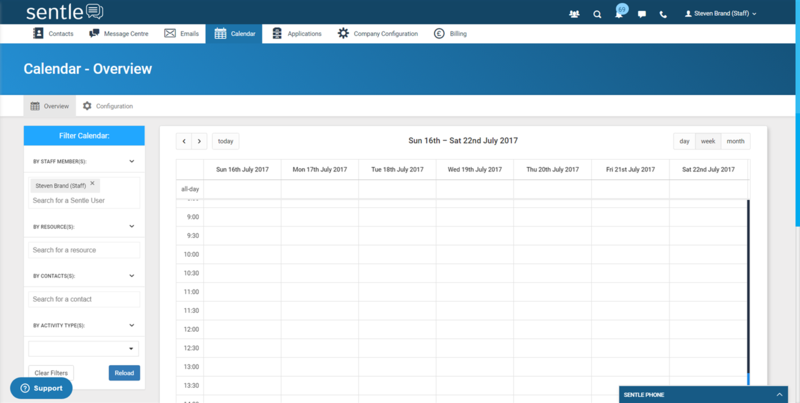 Selecting the calendar tab from the top menu will load the calendar view as shown below which can be changed to be viewed by day, week or month. Clicking on a time slot within the calendar will load the activity selection window as shown below. The information that can be added will be determined by the type of activity selected. Details about the different activity types can be found here.